Dr. Cohen is Professor of Medicine at the University of Pennsylvania and Associate Director for Clinical Research for the Abramson Cancer Center. He is a graduate of Harvard Medical School and completed internal medicine and hematology training at Mount Sinai Hospital (NY) followed by research fellowships at the Memorial Sloan-Kettering Cancer Center and National Institutes of Health and a medical oncology fellowship at the National Cancer Institute. He was a medical officer at the FDA Center for Biologics from 1989-1994 where he was Deputy Director, Division of Monoclonal Antibodies. 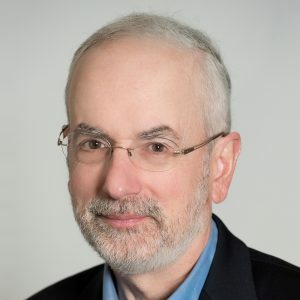 Prior to his arrival at Penn, Dr. Cohen was Director of the Clinical Trials Office at the University of Virginia Cancer Center in Charlottesville and then Director of the Phase 1 Program at the Fox Chase Cancer Center where he also served as interim Medical Oncology Department Chair for more than 2 years. He is an active investigator on a number of first-in-humans clinical trials with research interests that focus on evaluation of novel therapies, including monoclonal antibodies, immune therapies, and small molecule cell-signaling pathway inhibitors. He primarily sees patients with lung and head and neck cancer.